Although the RICO Act can be employed under many circumstances, the statute is most easily understood in its intended context: the Mafia. 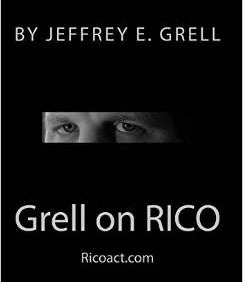 In a typical Mafia prosecution under RICO, the defendant person (i.e., the target of the RICO Act) is the Godfather. The “racketeering activity” is the criminal activities in which the Mafia engages, e.g., extortion, bribery, loan sharking, murder, illegal drug sales, prostitution, etc. Because the Mafia family has engaged in these criminal actions for generations, the criminal actions constitute a pattern of racketeering activity. The government can criminally prosecute the Godfather under RICO and send him to jail even if the Godfather has never personally killed, extorted, bribed or engaged in any criminal behavior. The Godfather can be imprisoned because he operated and managed a criminal enterprise that engaged in such acts. Moreover, under section 1964(c) of the RICO Act, the victims of the Mafia family (i.e., the extorted businessman, the employers whose employees were bribed, debtors of the loan shark, the family of a murder victim) can sue the Godfather civilly and recover the economic losses they sustained by reason of the Mafia family’s pattern of racketeering. As a practical matter, the closer a plaintiff’s case is to the Mafia scenario described above, the better chance the plaintiff has in succeeding under the RICO Act. Given the diverse factual scenarios that may confront attorneys and parties under RICO, it is always helpful to analogize non-Mafia factual scenarios to the prototypical RICO claim against the Mafia. It is always helpful to ask: who stands in the position of the Godfather, i.e., the defendant person? What is the equivalent of the Mafia family, i.e., the enterprise? This will give you a good start in evaluating the merits of any RICO claim you confront. If the facts are well-suited to the Mafia analogy, you likely have a stronger claim. RICO’s substantive liability provisions are found in section 1962, which has four subsections labeled (a), (b), (c) and (d). In plain English, section 1962(a) generally makes it unlawful for a person to use an enterprise to launder money generated by a pattern of racketeering activity. Lightening Lube, Inc. v. Witco Corp., 4 F.3d 1153, 1188 (3d Cir. 1993). Section 1962(b) makes it unlawful for a person to acquire or maintain an interest in an enterprise through a pattern of racketeering activity. Section 1962(b) is perhaps the most difficult RICO claim to express in practical terms. A stereotypical violation of section 1962(b) occurs when a victim business owner cannot make payments to a loan shark; upon default, the loan shark says: “you’re either going to die or you’re going to give me your business.” Given the threat to this life, the victim transfers control of his business to the loan shark. Usually, the victim business owner remains the owner on paper but the loan shark controls the business and receives all income from the business. Thus, the loan shark has acquired and maintained interest or control over an enterprise (i.e. the business) through a pattern of racketeering (i.e., loan sharking and extortion). Section 1962(d) makes it unlawful for a person to conspire to violate subsections (a), (b) or (c) of the RICO Act. By far the most useful and common civil RICO claim is found under section 1962(c), which makes it unlawful for a person to manipulate an enterprise for purposes of engaging in, concealing, or benefiting from a pattern of racketeering activity. Given its broad utility, the general elements of a RICO claim will be discussed in the context of a section 1962(c) claim. Distinctions will then be made between section 1962(c) claims and claims under 1962(a), (b) and (d).